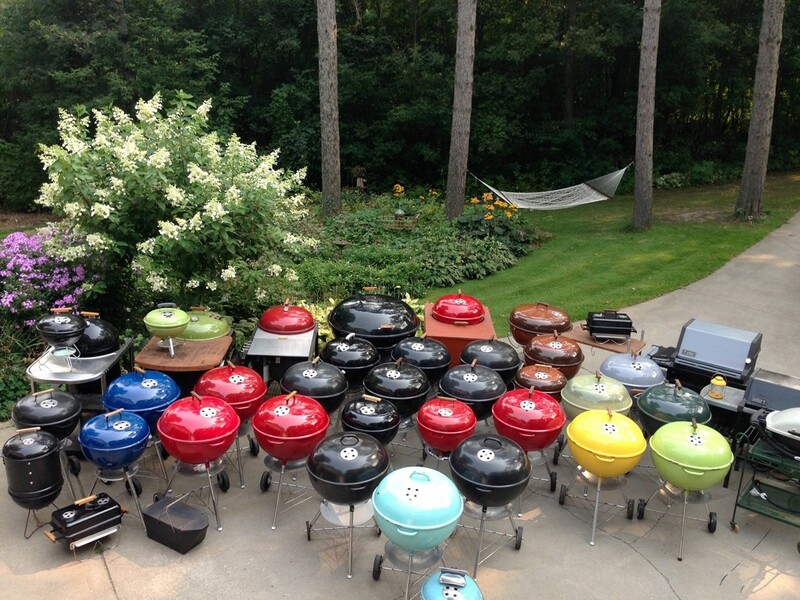 Recently, long time member @glrasmussen shared some truly amazing pictures of his Weber collection. 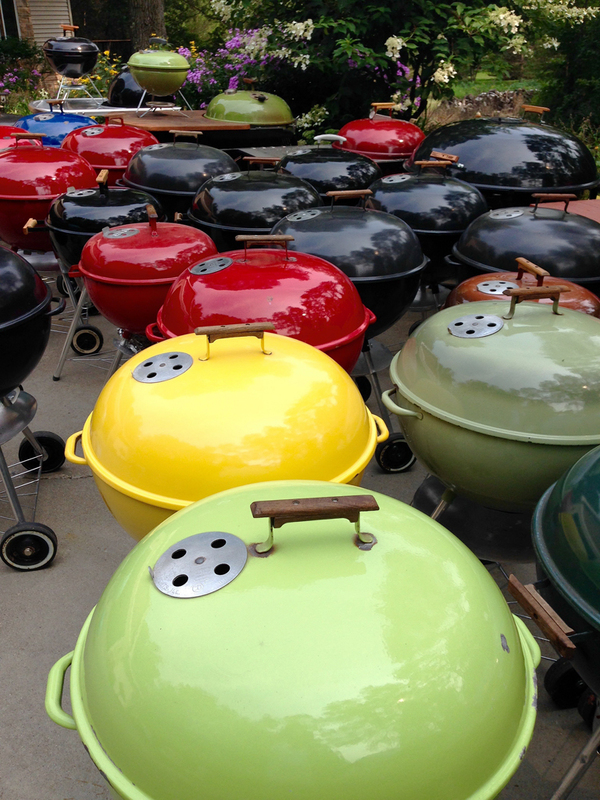 This is more of a museum exhibit than a photo, and we certainly weren’t the only ones to notice… Greg’s son had posted one of the photos on the Weber Facebook Page and it was promptly selected as Weber’s Griller of the Week! Be sure to check out the original facebook post here! After taking a few minutes to properly digest the images, you can really appreciate all the time and effort Greg has put into these stunning grills. Each one is meticulously cared for and has been restored back to it’s original glory. He has also refinished all of the original handles and the results speak for themselves! Congratulations Greg and thank you for sharing! One of the most amazing collections (and the BEST backyard) in the WKC. 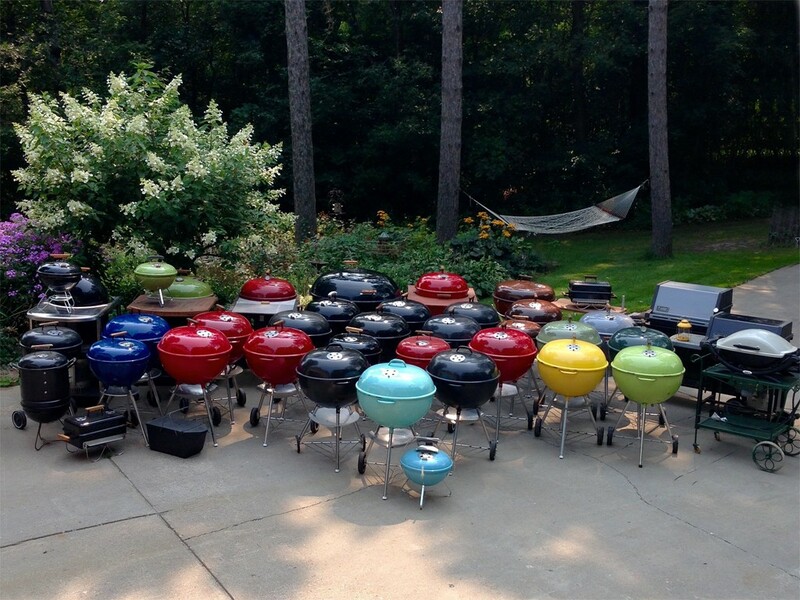 It is clearly evident how much care and planning went into that group of grills. Great job Greg! Thanks Winz! Very much appreciate the kind words. I wouldn’t say there was much planing when your hauling 40 grills.. But it turned out better than expected. Wow that’s an amazing collection! I had seen that pic some time ago and being a quick read… I assumed it was a meetup!! Jaw on floor… In awe sir! Welcome to the griller of the week club! I would LOVE an 18.5″ red kettle. Please let me know if you ever want to sell yours.